International Intergard 410 is a high build, high performance, two component epoxy with excellent chemical and abrasion resistance suitable for use as part of a high performance coating system to provide an anti-corrosive barrier in areas where aggressive corrosion conditions prevail. 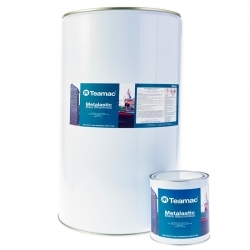 International Intergard 410 can be used as a primer, a coloured intermediate/undercoat for high performance durable finishes or alternatively, can act as a finish coating where a high quality, decorative finish is not required. 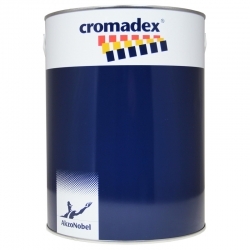 Widely used in both new construction and industrial maintenance on offshore structures, chemical plants, power stations and pulp and paper plants. International Intergard 410 was not formulated to be used below water line, so we do not have any data. International Interseal 670HS or International Interzone 954 would be more preferable. International Interplus 880 is a low VOC, two component high solids flexible aliphatic surface tolerant polyurethane primer, intermediate or finish capable of producing high build films. 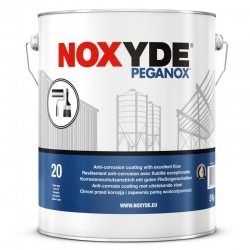 Primarily for use as a high performance single coat industrial maintenance coating to upgrade any tightly adhering existing coating to a longer life durable system. A high quality bituminous solution for marine, industrial and agricultural applications. It forms a waterproof, weatherproof, corrosion resistant coating for interior and exterior use. Jotun Baltoflake is a glass flake reinforced unsaturated polyester coating. 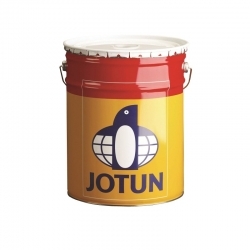 This Jotun product is an ultra high build, extremely abrasion resistant and fast curing barrier coating that can be used as primer, mid coat or finish coat in atmospheric and immersed environments. Jotun Hardtop Flexi is a high solids (64% volume) polyurethane topcoat with excellent wetting and adhesion properties. Hardtop Flexi has a remarkable ability to resist impact and will maintain initial gloss level over extended periods. 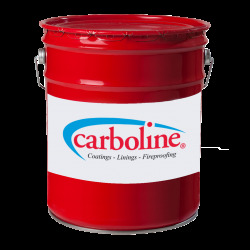 This is one of the few products that contain anti-corrosive pigments for the best direct to metal performance. 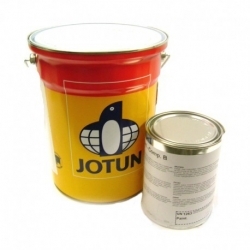 Jotun Jotamastic 90 White B16 is a two component polyamine cured epoxy mastic coating that is a surface tolerant, abrasion resistant, high solids and high build. It has been specifically developed to meet the requirements of UK Highway Agency Item 116 for use on bridges and highway infrastructure.